The college basketball world can relax a bit tonight after a full day of hoops yesterday. The action picks up in full force again on Thursday and Friday after two fairly interesting games this evening. All times eastern. 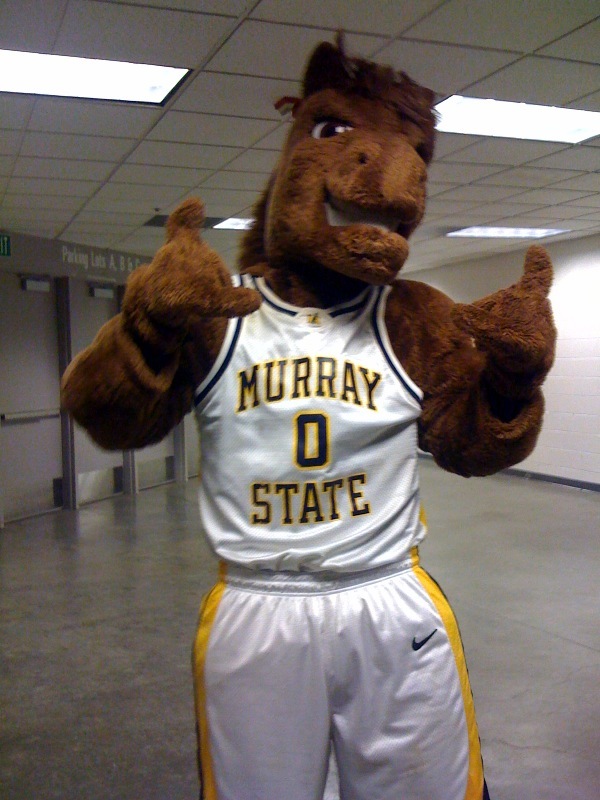 The Racers of Murray State knocked off Vanderbilt in a memorable first round NCAA Tournament game last season so Mississippi better be on full alert tonight. 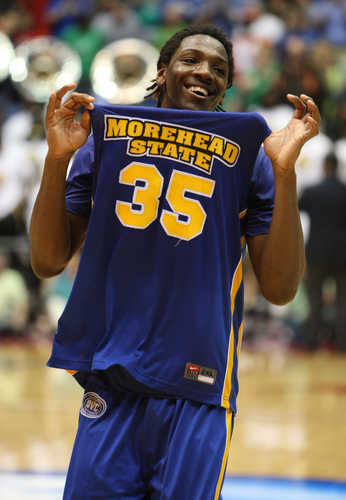 Murray State is being talked about again as a possible mid-major surprise again in the tournament and why not? They return five of their seven top scorers from last year’s team that won 31 games and the Ohio Valley Conference. Murray State only lost by two to national runner-up Butler, certainly an impressive showing for a #13 seed. They also played a good California team tight on the road, falling by only five in their season opener last year. They are coming off a 50-39 victory over East Tennessee State on Monday night in which they held the Buccaneers to 33% from the floor and 10% from three. B.J. Jenkins led all scorers with 14 points and shot 3-4 from deep. The Rebels are 1-0 though they struggled a bit with Arkansas State in their season opener. Star senior Chris Warren is back and hopes to lead Ole Miss to the NCAA Tournament for the first time since 2002. Gone from last year’s team, however, are Terrico White, Eniel Polynice and Murphy Holloway. Those three combined to average 34/16/6 for Andy Kennedy last season so players like Zach Graham and Terrance Henry are going to have to step into primary roles for the Rebels this year. Warren had to will his team to victory the other night by scoring 20 of his 26 points after halftime as Ole Miss was down eight at the break. Mississippi is not a particularly good defensive team while Murray State is just that. On offense it’s quite the opposite as Murray struggles to score and the Rebels rank #29 in offensive efficiency. Something has to give tonight and usually (but not always) defense wins out. Ole Miss is going to have to control the boards and minimize turnovers in order to win. The Racers were outrebounded by ETSU and generally are not that good on the glass. The Rebels need to exploit that advantage in order to create more possessions and therefore more opportunities to score. Conversely, Murray excels at creating turnovers which will get them some extra possessions that they may lose in the rebounding battle. 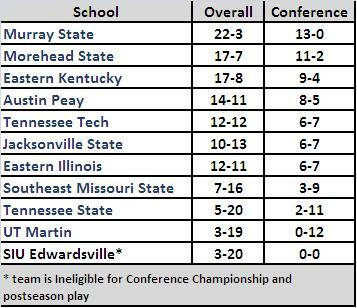 The Racers were #16 in turnover percentage last year and currently lead the nation in that category so far this season. This game figures to be very close as the teams are opposites of each other and will try to go after each other’s weaknesses. Mississippi prefers to play with a fairly quick pace while Murray is content with a slow, grinding game. Whichever team imposes their style for the majority of the game stands a good chance of winning. We just might pick Murray State to come up with a nice road victory (and RPI booster) this evening. If you look at the statistics on Ken Pomeroy’s site from last season, these two teams were remarkably similar. They were two of the top three 3-point shooting teams in the entire country last year and both were in the top 12 in effective field goal percentage as well. BYU also led the nation in free throw shooting while Utah State wasn’t far behind, ranking #12. Dave Rose leads his BYU team into another season of high expectations behind do-it-all player Jimmer Fredette. Fredette averaged 22 PPG last season leading the Cougars to a thrilling first round win over Florida in the NCAA Tournament. Key players Jackson Emery and Noah Hartsock also return for the men from Provo, Utah. The Aggies return two of their best players as well in Tai Wesley and Pooh Williams. Each team is 1-0 on the young season but Utah State struggled against another in-state rival over the weekend, Weber State. It is always difficult to win at the Marriott Center as the crowd is about as raucous as it gets in college basketball. They’ll most certainly be up and ready for this battle for the state of Utah. These two teams have played 226 times with BYU holding a 135-91 edge. However, Utah State won the last meeting on its home floor in Logan. Trying to contain Fredette will be paramount for the Aggies and coach Stew Morrill but hardly any team has been able to do that recently. Utah State did hold him to 5-15 shooting last year but he still managed to score 19 points. Expect a lot of threes to go up and to be made in this game tonight, though each team struggled mightily from the arc in their first game. When a lot of threes are attempted, long rebounds often result. BYU is not a good offensive rebounding team because of that so if Utah State can control the defensive boards they will have many more opportunities to score. The keys for the Aggies in last year’s win were getting to the line (+10 points there) and rebounding (+6). Everything else was fairly even and USU won by ten points, the margin from the foul line. BYU is favored at home, though only by six and a half points. We expect this to be a close game for 30 minutes with the Cougars gradually pulling away from the Aggies down the stretch. That isn’t to say Utah State can’t win (they certainly can), but winning on the road at BYU is something that rarely happens. Brandon Knight – Fr, G – Kentucky. What on earth could Brandon Knight do to live up to what has preceded him? It’s not just that he’s been stood for membership along the Caliparian Derrick Rose-Tyreke Evans-John Wall axis, or that he’ll immediately be expected to live up to the ridiculous standard entailed by that little club. Yeah, that’s hard enough, but there’s something more. Last year’s Kentucky team wasn’t just about five first-round draft picks and an Elite Eight run. It wasn’t about the actual on-court achievements of Messrs. Wall, Cousins, Patterson, Bledsoe, and Calipari. It was what the season symbolized, a pronouncement that, after two years of weirdness under Billy Gillispie, Kentucky had returned to prominence in a major way, wasn’t likely to go anywhere for a very long time, and that deep tournament runs with big bad recruits were to be the norm once again. That’s quite a show to follow. Brandon Knight says he’s up for the challenge, and he might be right. Don’t let the 32.5 PPG average as a prep senior in Ft. Lauderdale fool you. Even though Calipari cautions people against comparing last year’s Wildcats to this year’s, since Knight has yet to play a single second of college basketball, something has to be used as a reference point right now. That said, Knight shares Wall’s second-most important attribute as a collegian, which is the ability to provide whatever’s needed. Scoring? Not a problem. Less emphasis on points and more on distribution? Consider it done. Help on the glass? Let’s do it. Defensive leadership? Fine. Another similar aspect is that while Wall was a genius at getting to the rim, taking contact, and finishing, Knight has this gift as well and will gladly take whatever’s waiting on him in terms of body blows, but he’s also likely to pull up at the edge of the lane to shoot his mid-range jumper or slip a pass to an open teammate before defenders know what happened. Finally, as for the most important thing Knight has in common with Wall? That’d be the commitment in the classroom. You might as well just go ahead and fill in the bubbles on Knight’s APR sheets. He arrives from high school riding a 4.3 GPA, which we’ll assume is based on an accelerated/AP scoring system. Unless that 4.3 is based on some screwy 9.0 scale from Florida that we don’t know about, anybody looking for an offseason scandal here is wasting their time. Will Barton – Fr, G – Memphis. Considered by many to be the top shooting guard in this year’s freshman class, Will Barton has already taken a rather interesting path on his way to Midnight Madness. First there was concern over whether he would be academically eligible for the coming season, which he ultimately overcame. Then there was his Twitter guarantee that the Tigers were going to win the national title, which upon questioning he defended by simply saying, “What was I suppose [sic] 2 [sic] say?” Now that Memphis appears to have gotten past all of the headaches (hopefully) it is time for Josh Pastner and Tiger fans to enjoy Barton’s many gifts. If they’re expecting another Derrick Rose they are going to be disappointed because Barton’s game is quite different from the one-and-done Tiger star — who technically never played at Memphis according to the NCAA — as Rose was more of a distributor whose athleticism and physical skills made him a legitimate scoring threat, whereas Barton is primarily a scorer who also distributes because of his athleticism and physical skills. Barton also lacks many of the complementary pieces that Rose had around him so don’t expect a repeat of the 2007-08 season for the Tigers, but Barton could lead them further than you would otherwise expect for a team that was weaker than recent Memphis teams even before the departure of Elliot Williams. Although Barton does not have range of some of the premier scorers of recent vintage like J.J. Redick or Stephen Curry, he does possess a solid outside shot, which he combines with a mid-range game that very few players at any level have, and an ability to get to the basket. What could potentially set him apart from the likes of Redick and Curry is Barton’s ability to rebound and play defense. With that combination of skills and his potential for improvement (he is rail-thin right now, listed at 6’6” and 170 pounds coming out of high school) Barton could be the best player at Memphis since Rose and if he sticks around for a few years his name could be mentioned alongside Keith Lee, Elliot Perry and Anfernee Hardaway as one of the all-time greats there. We’ve got two pretty cool matchups today here in San Jose. First, we’ll start with the strange situation of everyone’s favorite giant-killer, #5 seed Butler, acting as the heavy favorite over #13 seed Murray State, who of course advanced on Thursday when Danero Thomas’ shot at the horn against Vandy dropped. In the second game, we’ll enjoy the Pac-10 renaissance for at least another game, as #11 Washington will try to continue its hot streak (now eight Ws in a row) against #3 New Mexico. We’ll be checking back in throughout the day with our thoughts on the games. Getting ready to come out for the tip of this game, I got into a conversation with two of the young female intern-types who were helping out with the drinks for media. They were discussing whom to root for in this game, and one said to the other: “well, you have to go with the underdog, Murray.” Sensing a teaching moment (hey, Scottie), I said, “yeah isn’t it interesting that Butler is the favorite when they’re usually the giant-killer and Murray is the underdog now?” They were both amazed with that role-reversal and asked a bunch of questions about it. But it illustrates a point about programs such as Butler and Gonzaga — there comes a tipping point where you’re no longer viewed as the plucky little team anymore, and I think Butler is close to getting there (Gonzaga has been there for years). Butler came out off to a great start 12-3 as Murray State looked a little off kilter, which is to be expected coming off a great win like they had on Thursday. But eventually they got their sea legs under them and were able to start getting some stops. It’s always interesting to watch The Butler Way… they take care of the ball; they look for open teammates; they crash the boards; they contest every shot. Rarely will you see a shot out of the offense, although I did count a couple of them this half. Murray’s defense really picked up about mid-half and it showed in that Butler ended up shooting a horrid 8-28 from the field (29%). The Bulldogs were held scoreless for the last 6:24 of the first half. In that time, Murray went on a 9-0 run. That may not sound like much, but in a game trending toward the 50s, that’s a huge disparity. It took a while to figure out, but the crowd is definitely pro-Murray State. Again, that’s just weird. Usually Butler is the team that has the non-partisans on their side. Ed Daniel’s follow jam with about a minute left on the break really brought the house down. If this stays close down the stretch, definite home advantage to Murray. 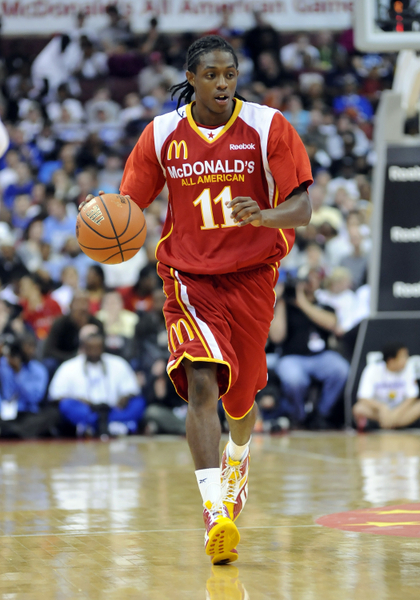 I’ve been very impressed with Murray’s Isaiah Canaan in this pod so far. He has 8 points and has a real swagger about him like nobody can stop him offensively. Only a freshman and six feet tall standing on a phone book, he is undoubtedly going to be a star in this program the next few years. Coming into the second half, I’m reminded of how Butler had played so poorly in the first half on Thursday, but then used the first five minutes of the second half to completely put UTEP under. Will that happen again today? I somehow don’t think it will. I just don’t see Murray getting as frustrated into making poor decisions as UTEP did the other day. I really like the poise of this Racer team.